COLERAIN TOWNSHIP, Ohio -- Used cars sometimes come with unpleasant surprises -- things like mysterious smells, squeaky brakes and dents that went unnoticed until you left the lot. 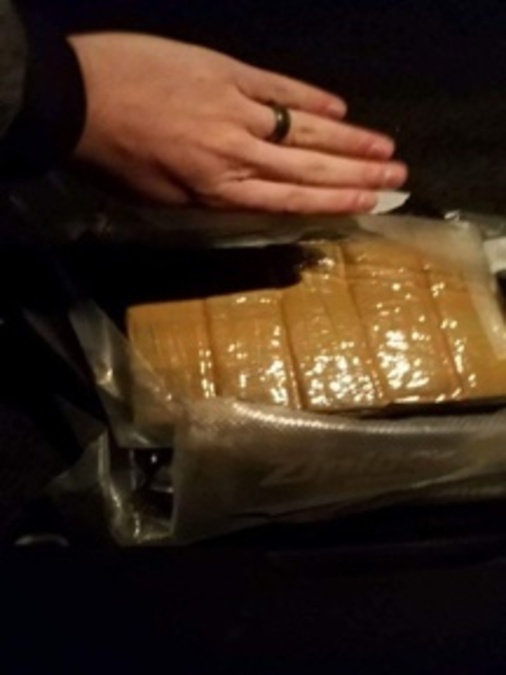 For one Northern Kentucky man, who asked for his own safety that he not be identified, the surprise he purchased with his 2014 Volkswagen Jetta made all of those other inconveniences seem small: He found $130,000 worth of cartel heroin inside a secret compartment. The man said he found over two pounds of heroin in this hidden compartment under the driver's seat. Not right away, though. 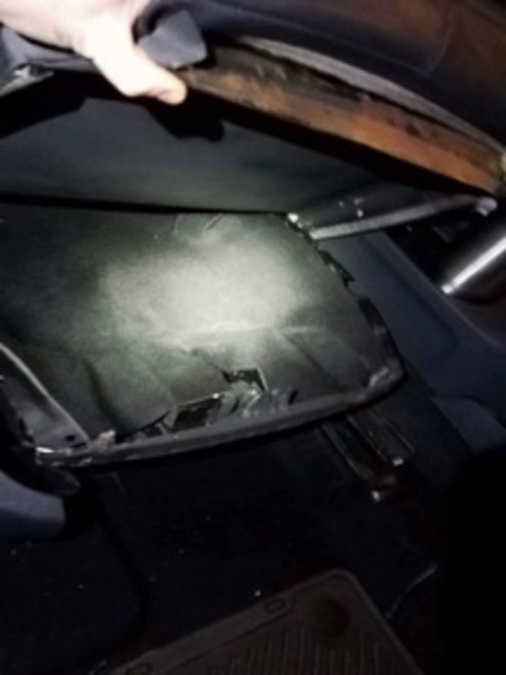 He had been driving the car for over two weeks before a rattling noise made him pop the passenger seat and discover an empty, hidden compartment. "We went out to dinner one night and the car started making a strange noise inside the passenger seat," he said. The man then checked the driver's seat, and that compartment contained over two pounds of heroin. He said he immediately called the police and turned over the drugs when he realized what he had found. The driver found this heroin in a 2014 Volkswagen Jetta he purchased. The Ohio State Highway Patrol found three kilos of heroin in the same car nearly eight months earlier. At the time, according to police, it was driven by Rolf Kruger, a 63-year-old former Mexican Highway Patrol officer whom a cartel threatened into hauling heroin across the country. Kruger was arrested, but the car made its way back to an impound lot, to the Columbus Fair Auto Auction and then to McCluskey Automotive in Colerain Township. Lieutenant Robert Sellers of the Ohio State Highway Patrol said a K-9 and many other police officers searched the car before it was released, but they did not find additional heroin at that time. 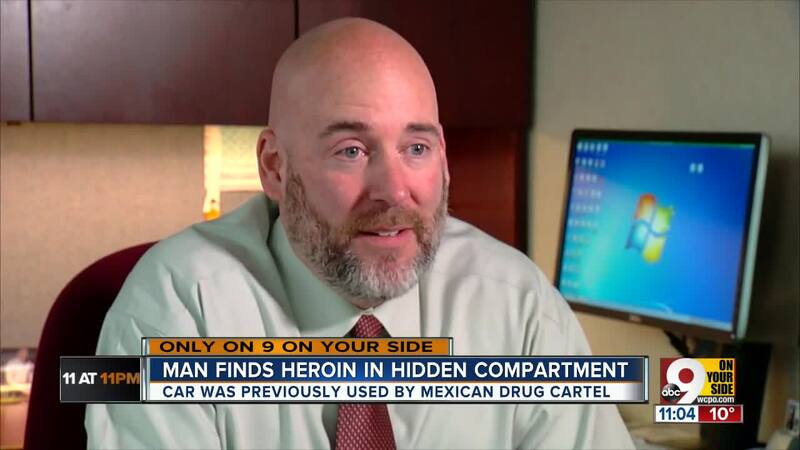 Tim Reagan, who leads the Cincinnati Division of the DEA, said compartments built by drug cartels have become increasingly complex, making it more difficult for law enforcement to locate them. “It’s actually probably more common that law enforcement does miss cash or drugs in vehicles just based on the way things are hidden," he said. "The only person that may know exactly how to operate the trap or where the trap is is the person who built it." Sellers said the highway patrol had seized nearly 160 pounds of heroin since the start of 2016. As for the car, McCluskey Automotive took it back, and a sales manager said they never would have sold it at all if they knew its history.